So What's in Yosemite Valley? 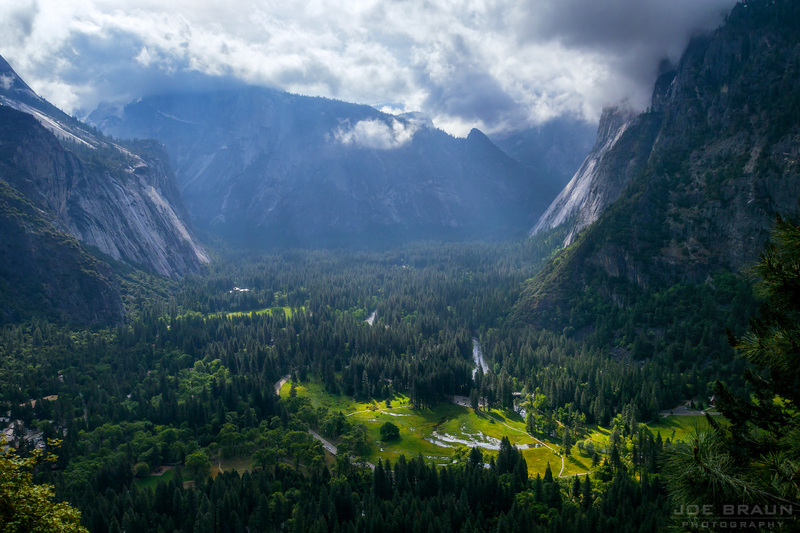 When people think of Yosemite National Park, they typically think of Yosemite Valley, the magical cathedral-like valley of lush meadows and forests surrounded by towering granite cliffs and majestic waterfalls. While Yosemite Valley is only 9 square miles (less than 1% of the total area of Yosemite National Park), it is the bustling epicenter of the park that is home to some of the most iconic landmarks in the world, including Yosemite Falls, Bridalveil Fall, El Capitan and Cathedral Rocks, Vernal Fall and Nevada Fall (along the Mist Trail), Mirror Lake, and the world-famous Half Dome looking down from above. Yosemite Village: Located on the north side of the valley just east of Yosemite Falls, this collection of buildings is home to the Yosemite Valley Visitor Center and Theater (a great place to get oriented), the Wilderness Center (for those planning backpacking treks), as well as a museum, gift shops, and galleries. On the east side of the village is the Village Store (groceries, snacks, and souvenirs), a restaurant, and a small outdoor cafe. Hotels: There are two classic hotels in the valley: the Yosemite Valley Lodge (Yosemite Lodge) and the Majestic Yosemite Hotel (Ahwahnee Lodge). Lodging in the valley is quite luxurious (and expensive) and due to high demand, reservations are recommended well in advance of your visit. Campgrounds: Yosemite Valley also has several primitive campgrounds including North Pines, Upper Pines, Lower Pines, and Camp 4. Reservations are required for all campgrounds in the valley, except for Camp 4 which is a walk-in campground (that is very difficult to get a spot in). Rustic Lodging: To experience the feel of camping without having to bring your own tent, there is Half Dome Village (Curry Village) and Housekeeping Camp, which both provide canvas-topped cabins for a bit of a glamping experience. Reservations are required. 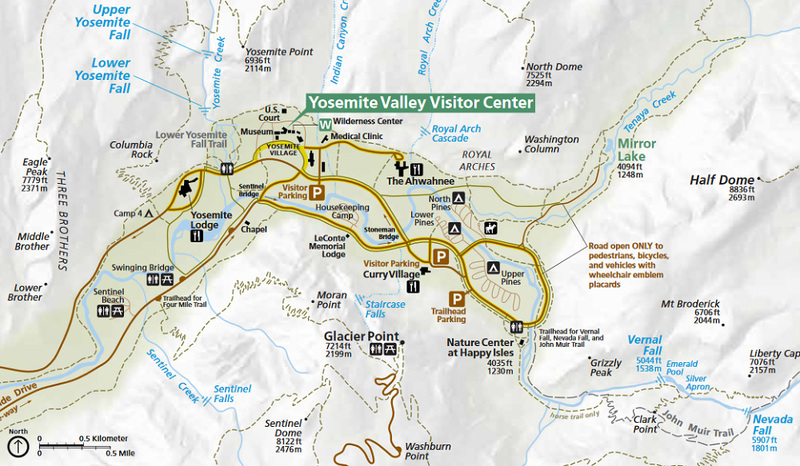 Sample of the NPS Yosemite Valley Map. Download the full map (PDF). 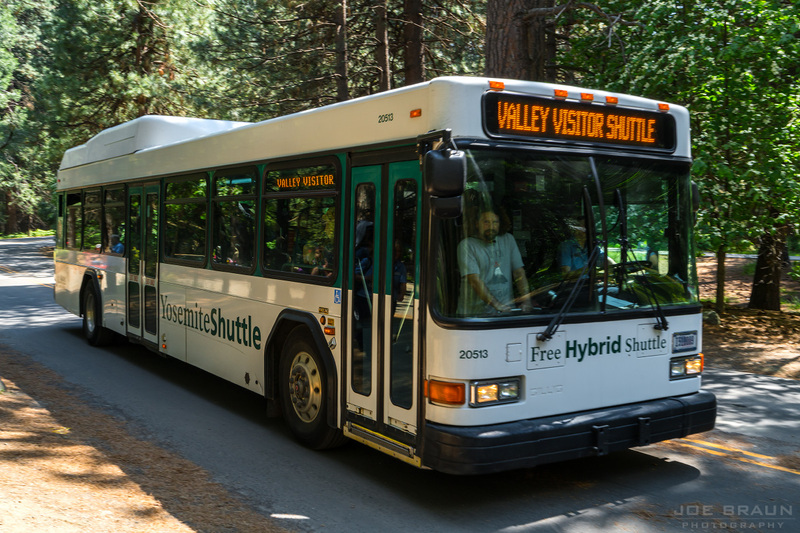 Yosemite Valley shuttle: provides service to eastern Yosemite Valley with stops at the VIsitor Center, all major lodges and campgrounds, stores, and trailheads. This shuttle runs all year from 7am to 10pm. El Capitan shuttle: the longer remote shuttle that takes visitors from the Visitor Center to El Capitan, Cathedral Beach, and Four Mile trailhead on the west side of Yosemite Valley. This shuttle runs from mid-June through early October from 9am to 7pm. Know where you want to go. Study the Yosemite Valley map before you drive into the park so you don't get thrown by some of the confusing intersections. If you are visiting for the day, get there early! By mid to late morning, most of the various parking lots and makeshift roadside parking spots get filled up. 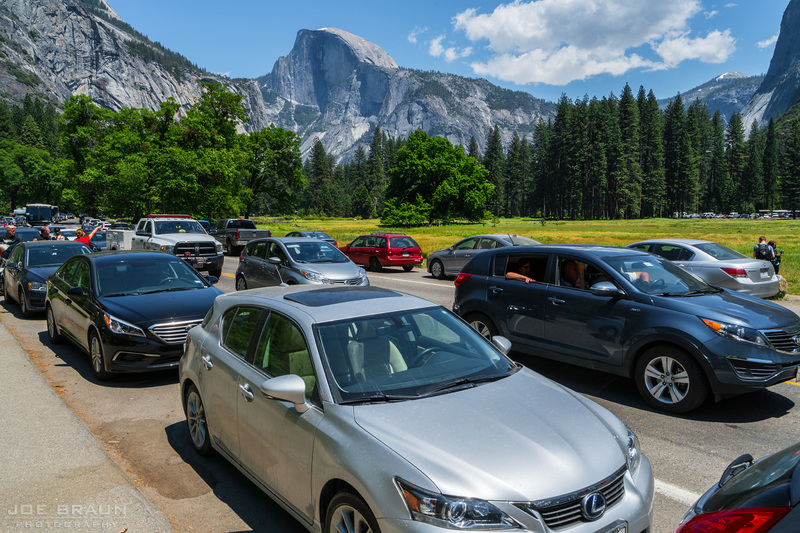 Nothing is worse than making a long drive into Yosemite Valley, getting caught in gridlock, not finding any parking, and then driving away frustrated. Consider not visiting during weekends and holidays. Seriously. Unless you are emotionally prepared to deal with crowds and long lines. Consider walking the valley instead of taking the free shuttles. During busy tourist days, riding the shuttle buses can be a dehumanizing experience with long waits and cramped conditions. If you are in fit shape to walk a few miles or so between attractions in Yosemite Valley, it can be a much more pleasant experience. 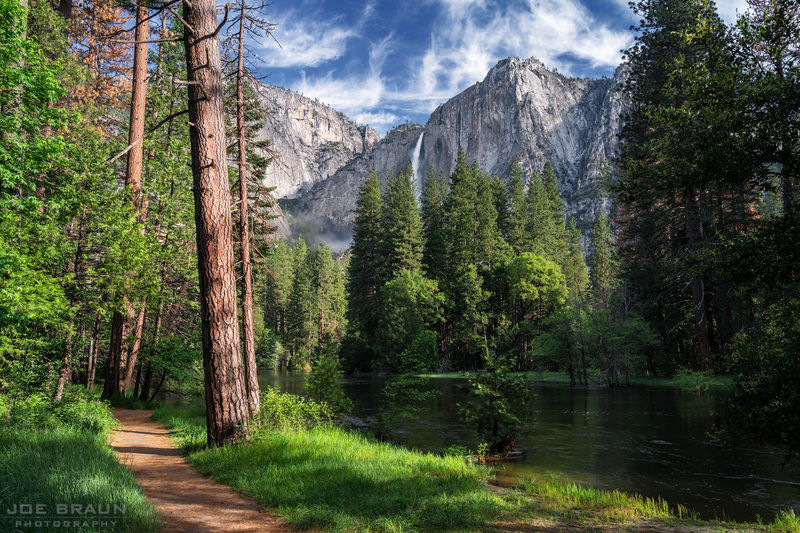 Most paths in Yosemite Valley actually aren't crowded and offer some great natural scenery. Consider bringing your bike if you can! If you have the means to bring one, a bicycle is the best means of transportation as there are several bike paths that loop around the entirety of Yosemite Valley. 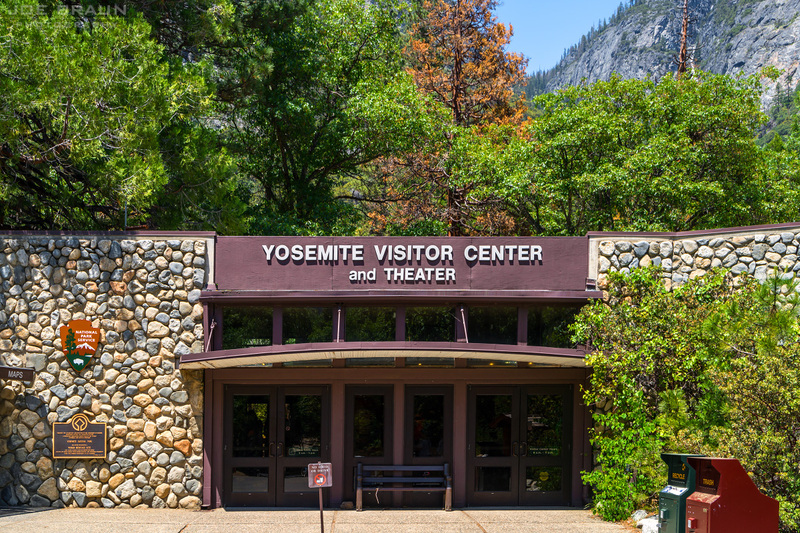 It's a convenient way of getting out to El Capitan and Bridalveil Falls without having to battle traffic.